The most significant tax reform package of this generation is now awaiting the President’s signature and is widely expected to be signed into law at any time. The new tax law changes the tax planning landscape, creating both pitfalls and opportunities for attorneys and the clients they serve. 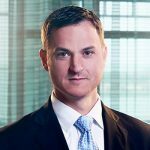 It is critical for business and estate planning attorneys to understand these changes and how they affect their clients. To read the full article, download the full white paper below. 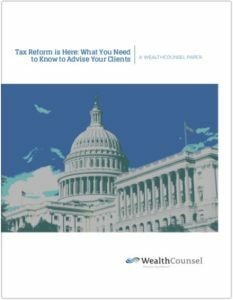 This complimentary White Paper is available courtesy of WealthCounsel, LLC. Whether you’re starting, growing or enhancing a legal practice, joining WealthCounsel gives you the edge. You’ll have access to our renowned drafting tools, educational programs, and practice development resources – – all with the support of a nationwide member community. Our focus is on giving you the tools, information, and confidence to unlock the true potential of your practice. Create documents with pride: Thousands of attorneys have trusted – – and influenced – – our cornerstone legal drafting system, Wealth Docx®. Now you can create customized, professional-level legal documents in a fraction of the time you would normally spend. You can be confident that the documents you present will always be complete, correct, current – – and easy to understand. And your clients will notice the difference. 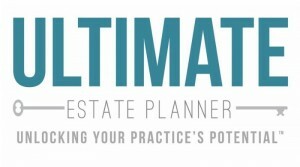 5,000+ members strong: As a WealthCounsel member, you join a welcoming and collaborative network of estate planning and business attorneys nationwide. They become your sounding boards, mentors, colleagues, and friends. There’s a sense of community that is especially rewarding for the small or remotely located practice. For more information about the benefits of a WealthCounsel membership, click here.